The Gotthard north ramp from Erstfeld to Goeschenen is one of the famous rail lines in Switzerland. Over the years SBB built stronger and stronger locomotives for this line. Very heavy trains often ran as double-header or with pushers. 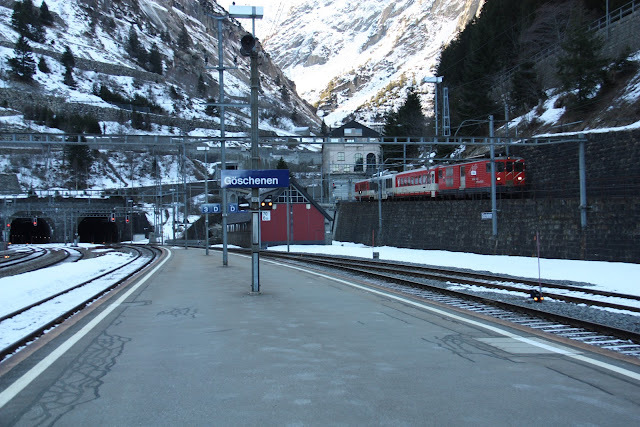 With the opening of the Gotthard base tunnel, this line is not nearly as busy anymore as it used to be. It's still cool, though. 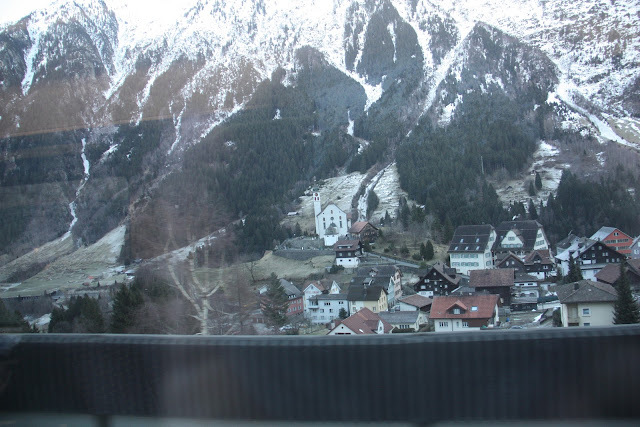 I tried to catch the famous 3 views of the village church in Wassen. The tracks gain elevation by folding back onto themselves hugging the valley sides and two 180 degree turns. As a consequence trains pass the village of Wassen three times at different elevations. 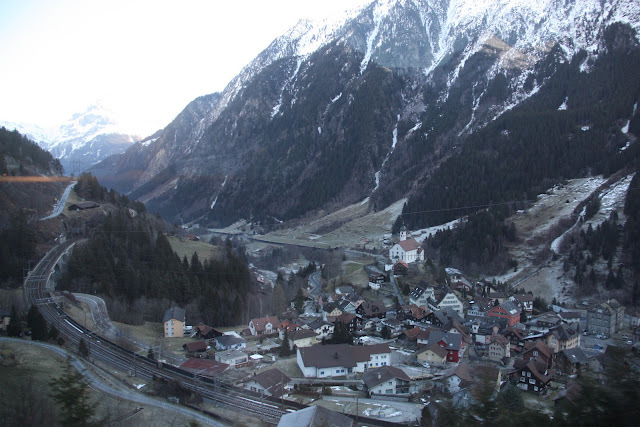 Here's the view of the church looking back into the valley after the train passed Wassen for the first time. 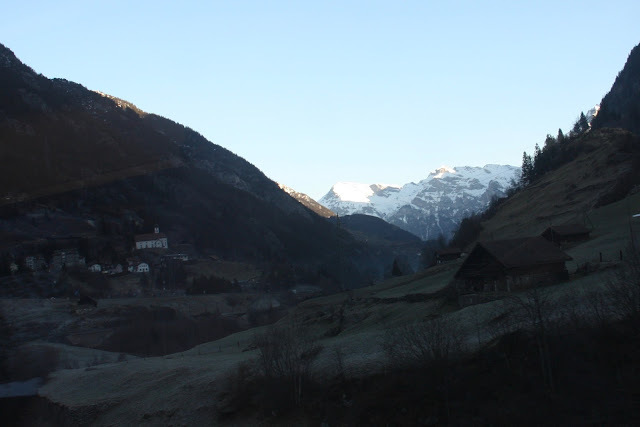 Most of the valley is still shaded while the mountain tops are already in bright sun light. This in combination with dirty windows gave the automatic exposure control of the camera quite a bit of trouble. Next we make a wide right turn to the other side of the valley and pass the church a second time. Again it's tricky to catch the right moment for the photo if you are not familiar with the area, because of bushes, trees, tunnels, and sound walls next to the tracks. After another tunnel reversing direction we pass the church the third time. 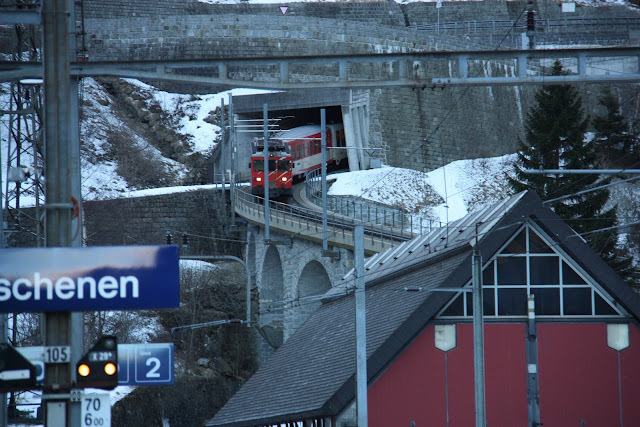 The previous photo was taken from the tracks in the lower half of the photo below. 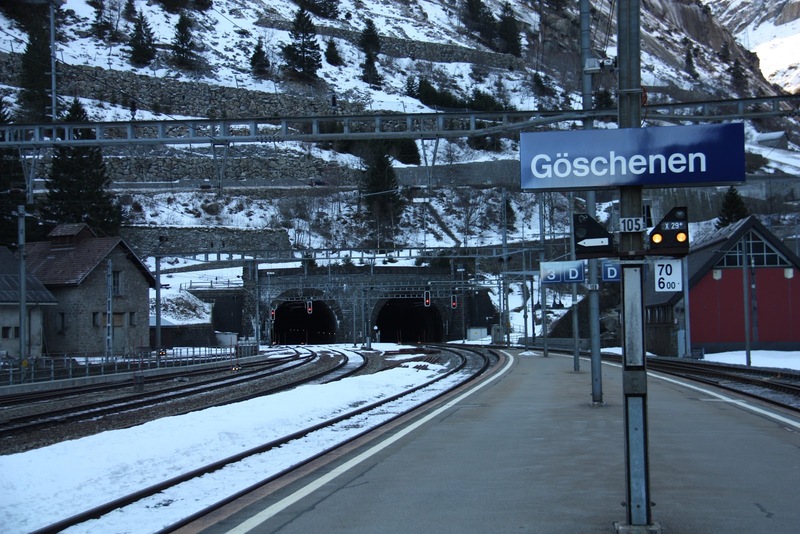 A few minutes later the InterRegio arrives in Goeschenen at the north portal of the Gotthard tunnel. 9:52. It's cold up here, with a nasty wind. The other passengers disappeared quickly into the station building, but I hung out for a few minutes to look around and take photos. I have a 20 minute layover before continuing my journey. 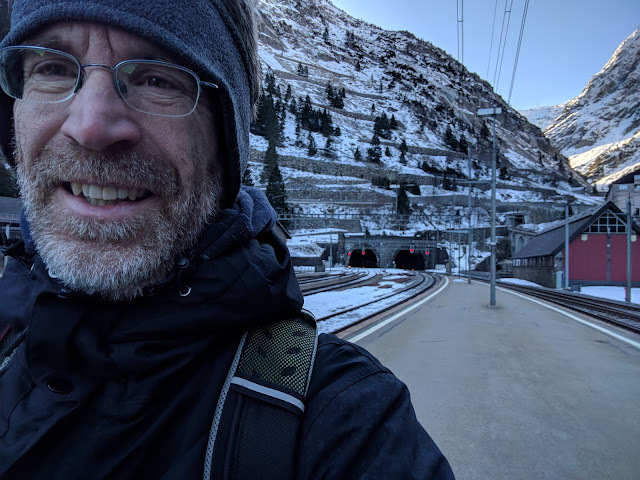 Good thing I did, so I could catch the train from Andermatt as it works its way down the last few meters on the cog rail.